The Glendale-Middle Village Coalition is hosting a rally next month to protest against a rumored 200-men homeless shelter site in Glendale. While rumors of the shelter, said to be going in at an under-construction defunct factory site at 78-16 Cooper Ave., are unconfirmed, Glendale resident Mike Papa, one of the organizers of the rally, spoke at last night’s Juniper Park Civic Association meeting, saying that the shelter is nearly ready to go. “The only thing left for them to do at this point is to give the Community Board 30 days notice and the facility opens,” Papa said. The rally is set to take place the morning of Saturday, April 13. Rally goers will meet at 78-16 Cooper Ave. at 8 a.m. where three buses will be waiting, ready to take the protestors to the Long Island home of Michael Wilner, the owner of the 78-16 Cooper Ave. property. 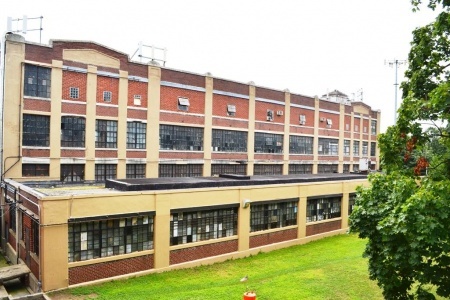 Wilner initially filed an application to renovate the Cooper Avenue factory building into office space—a permit for which was granted, allowing the ongoing construction on the property to begin. He then later filed updated plans for a transient housing facility, which have not been approved. According to Council Member Robert Holden’s office, however, Wilner does not have a contract with the city for a shelter. Holden has been actively working against a large-scale shelter going up in his district and has instead advocated for a faith-based approach to sheltering the homeless, opting for smaller-scale housing in empty church rectories and convents throughout the neighborhood. Holden has also publically pushed for a new school to be built on the Cooper Avenue property, stating at a February Community Board 5 meeting that the school is all but certain. According to Holden’s office, they are continuing to work with various city agencies to get approval for a school on the property, and are awaiting a final confirmation from City Hall.